Hey Folks. Always looking for good upgrades for the ole TT. Living in Georgia we have a saying, if you don't like the weather stick around for a few minutes it will change. For much of the spring and fall we have lots of days where you need heat at night and cooling in the day. I solved this problem in my home by installing some nice auto changeover thermostats. Set your desired cooling and heating set points and forget about it. This weekends camping run for 4 days with the family to Stone Mtn saw temps from a low of 36 one night to a high of 74 during the day. With the pups sometimes chilling in the camper during the morning or evening this can be a real problem as we are not there to flip the system.. Its a nice Dometic digital stat that controls both zones but you still have to select if you are heating or cooling. I have looked at the higher end Dometic stats but the specs don't show if they have an auto changeover capability ?? Does anyone have or know of a nice RV compatible stat that has auto change ? Its would be real handy for much of the year around here. Certainly for any spring or fall trips.. I don't think any of the thermostats compatible with your system are auto-changeover. 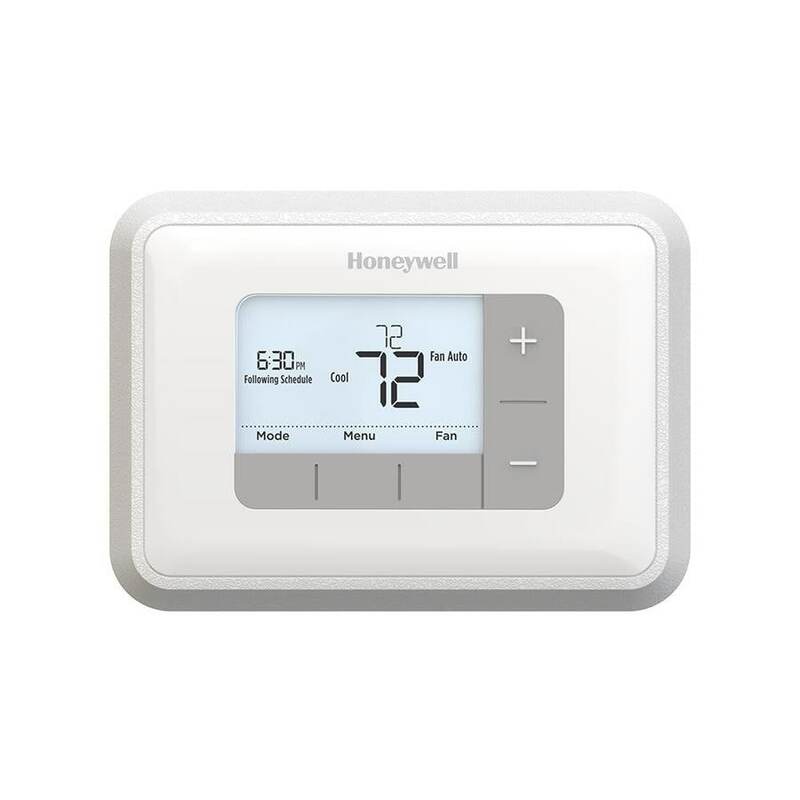 You could change the control box in the A/C and run new thermostat wires and then install an auto-changeover thermostat. The only thing you need to be sure of is that the new t-stat is capable of controlling a millivolt system. I was afraid thats what someone was going to say. I truly appreciate it, and I may decide to do just that, just seems like they would incorporate that into some of the nicer high end Dometic stats etc. Campers even more so than homes need conditioning in a big hurry shall we say. They heat up and cool down pretty quickly just because they cant be insulated as well as homes. Makes auto change seem like a great idea for the spring and fall trips, or even out west in the desert etc. Have to explore your option..
Would this one work? It is compatible with a 750mv system and is auto-change over and programmable for $44 at Lowes. HD has the manual posted on their website, but they sell it for 5$ more than Lowes. If you have the Dometic 3313189.000 single zone LCD here is the wiring schematic.